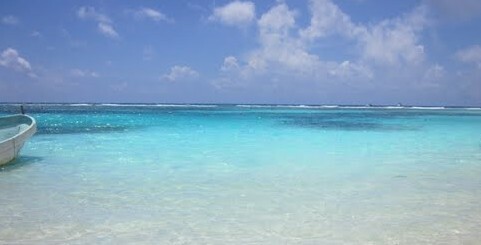 Tales From Mahahual | Where the sand is always white, the water always blue and the drinks are always cold! Welcome to ahhhmahahual.com, the very best source for all things Mahahual and the Costa Maya area, and a trove of information for both the visitor, as well as those exploring the area as a place to live. Check the links above for all the info. Our Visitor’s Manual has a little bit of everything, from hotel info, to activities and everything in between. The Transportation link gives lots of very detailed blogs on the many ways to get from regional airports, mainly Cancun, to Mahahual. From buses, to how to actually drive the trip, complete with gas station locations, taco stands and police radar. Locals News, Off The Beaten Path activities and Accommodations are all there. The Real Estate link is a must for anyone wanting to buy in the area, and a great source for the professional services you need to do that. The Tales From Mahahual link has everything from rants and raves, to thoughtful observations about being a gringo in Mexico. And Busters on the Beach is a collection of short stories that follow the lives of the “Livin’ and Dyin’ in 3/4 Time Boys”, an unlikely group of misfits, who left the US, each for their own reasons, and spend their days drinking beer and watching the world go by at a slightly slower pace now, from their bar stools at the Mahahual Malecon’s favorite place, Buster’s. The blog is intended to introduce the area to foreign travelers, but there a few blogs we thought Mexican Nationals would enjoy, so we have some En Español. Take some time and thumb through our links from the toolbar above, and if you do, you might just be planning a trip of your own pretty soon.